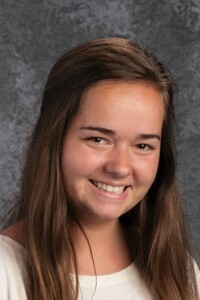 Lampeter-Strasburg Cassidy Ingram recently won two gold metals in the Scholastic Art & Writing Awards competition. The Scholastic Art & Writing Awards have celebrated 80 years as a unique presence in our nation's classrooms by identifying and documenting the outstanding achievements of young artists and writers in the visual and literary arts. Her entry, "The Teller's Tale," will now move onto nationals. Ingram's poem is also in contention for the "American Voices" competition. "America Voices" is a regional competition from which only five pieces from Lancaster County were chosen. Here's a copy of one of Ingram's winning submission entitled, "The Teller's Tale." And then I nodded with a smile. Have found me in this place?